WordPress is indisputably the most preferred CMS platform on the web. Due to the popularity and development of WordPress CMS, themes that are specially made for sites powered by WordPress also gained considerable fame in the market. 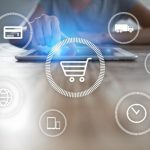 Free wordpress themes, especially, tend to have a greater disparity in quality from one another, with some being just as great as the best premium wordpress themes, and others being poorly designed or poorly coded. 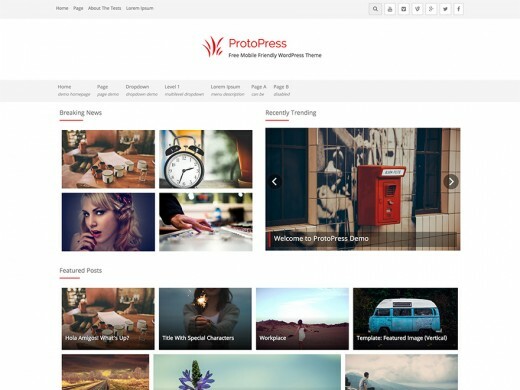 However, quality free WordPress themes are not easy to find that is why I decided to gather some of the finest free WordPress themes on hand. 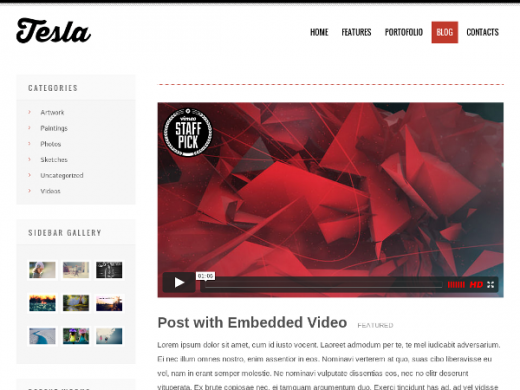 There are lot of free wordpress themes on internet for blogger to make a stylish to their blogs. In our today’s post we have compiled a list of top 20 beautiful WordPress free flexible width themes for your WordPress blogs. Don’t forget to give your most welcomed feedback to improve quality of our blog. 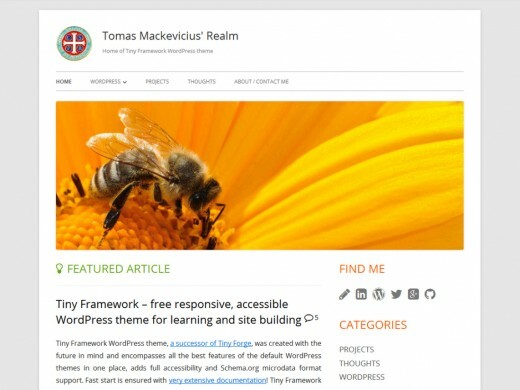 Tiny Framework theme was created with the future in mind and encompasses all the best features of the default WordPress themes in one place, adds full accessibility and Schema.org micro data format support. 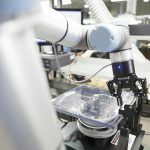 Fast start is ensured with very extensive documentation! 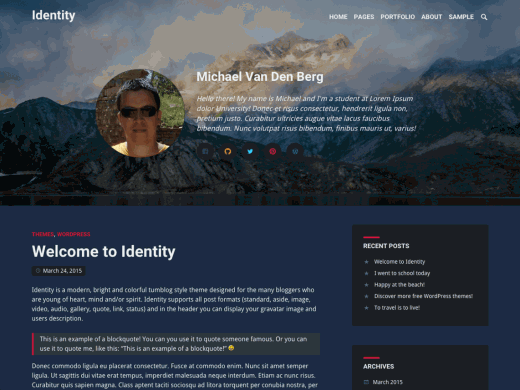 Theme supports Site Logo feature on WordPress.com, that is available with Jetpack plugin for self-hosted sites. fTourism is a Child Theme of fKidd Theme. The theme is Fully Responsive, Built-in Slider, Multi-Level Drop-Down Custom Menu, Admin Panel Options, W3C Markup Validated, Search Engine Optimized, Multiple Browsers support (IE9, IE10, IE11, Chrome, Firefox, Safari, and Opera), FontAwesome Icons, 5 Widgets Areas: Sidebar, Homepage Column. One Page Scroll is a one page responsive WordPress theme built using the Twitter Bootstrap framework and retina ready Font Awesome icons integration. One Page Scroll also uses the Options Framework plugin with extensive theme options which lets you set custom logo, favicon, typography and more. Choose from four predefined sections and build the homepage that best suits your company. 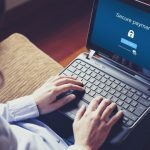 Take full control of your site with Tyros. 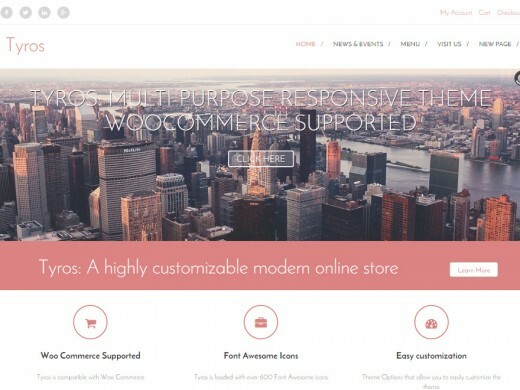 A user-friendly, modern, mobile responsive theme for a professional business or an online e-commerce store, fully compatible with WooCommerce, comes with a slider, a touch-friendly carousel for your WooCommerce products and articles, masonry tile grid blogroll, preloaded with appealing colors, background patterns, fontawesome icons and bootstrap, along with 7 widget placeholders. 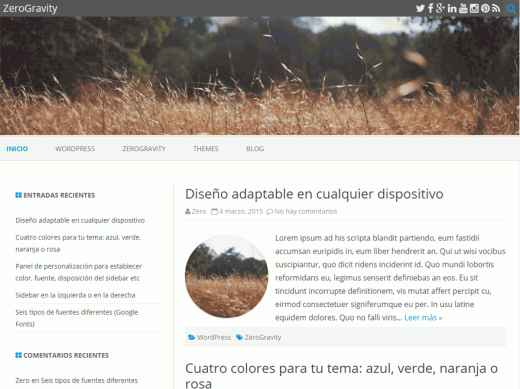 ZeroGravity is a simple and light WordPress theme with a clear and neat design. 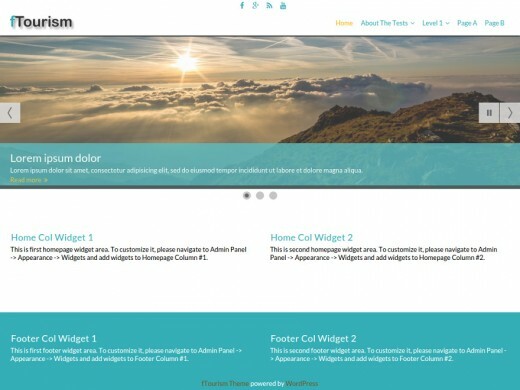 Some its features are: left sidebar or right, custom theme color (blue, green, orange or pink), custom favicon, six different Google Fonts, thumbnails rounded or squared, two widgets areas (beginning and end of posts), customization panel, fully responsive, custom header, custom background and more. 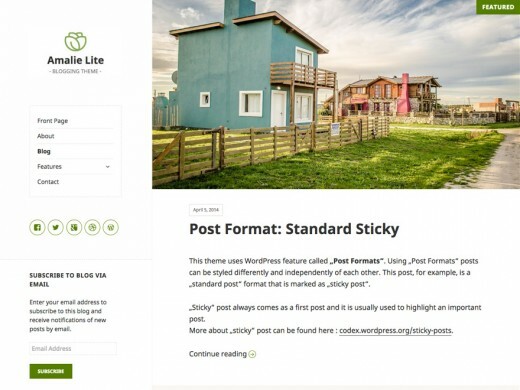 Amalie Lite is a feature rich, uniquely designed & accessibility ready free blogging WordPress theme. Nice responsive behavior keeps that perfect balance across the whole range of internet capable devices. Be it a 4” smartphone, 10” Tablet or a 27” screen this theme will hold its own unique character and content oriented approach. 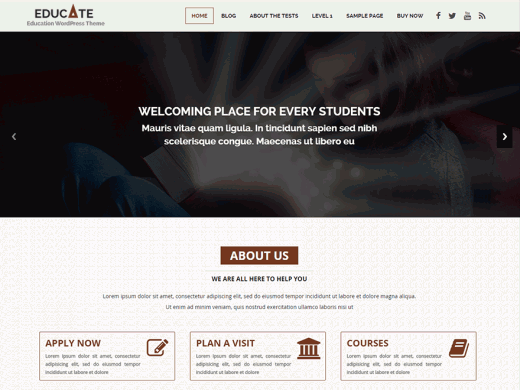 Educate is a premium quality WordPress theme developed mainly for schools, colleges, training institutes etc in mind. It’s a mobile responsive theme which means it’s optimized for all the mobile devices, desktops etc. It’s SEO friendly as well. It comes with Theme Options to ensure it’s super easy to customize as per your needs. SKT The App is an App multipurpose responsive one page WordPress theme which can display any product/app and can be used for corporate, business, personal, blogging, photography, consultancy etc. 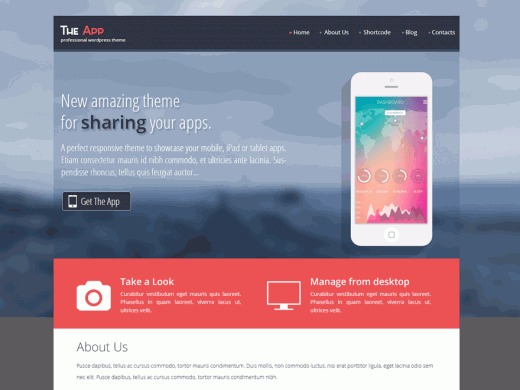 The purpose of this theme is to showcase a product or a mobile app. The App is also a One Page WordPress theme which has various sections laid out nicely. 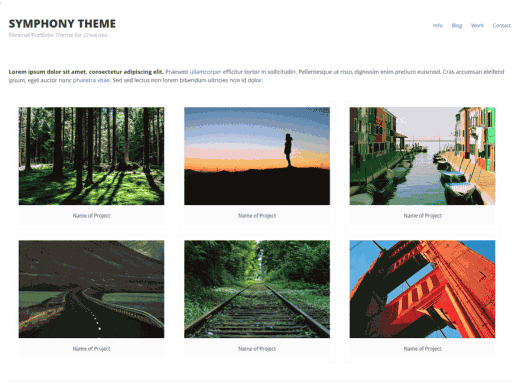 Activate the theme and set up sections with easy to use theme options. 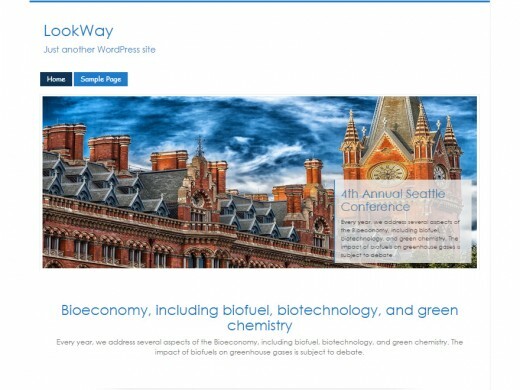 The Lookway theme for WordPress takes us back to the blog, featuring a full range of post formats, each displayed beautifully in their own unique way. Design details abound, starting with a vibrant color scheme and matching header images, totally all headings and images as well as text customizable and a flexible layout that looks great on any device, big or small. 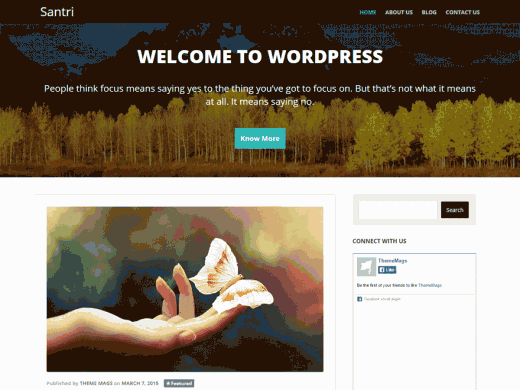 Santri is a responsive, two column multi-purpose theme suitable for blogs, personal or business websites. The homepage can be customized via the 3 widget areas as well as the ability to add a header image, text and call to action button. Posts are presented in a clean uncluttered way ensuring your content will look professional and be easy to read. 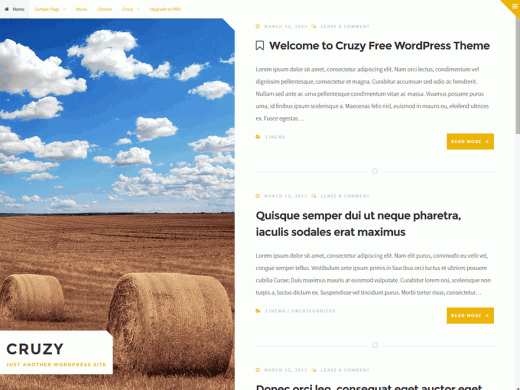 Cruzy is fresh and modern WordPress Blog Theme, full width with two main columns, one dedicated to the images and one dedicated to content, unlimited colors and 4 post formats. The sidebar is hidden and comes out through special button. Templatetoaster Theme is a flexible, lightweight and fully Responsive aimed at bringing a pure Bootstrap experience in WordPress blogs. HTM5/CSS3 is used to give your website a better accessibility, browser cross-compatibility and mobile optimization. 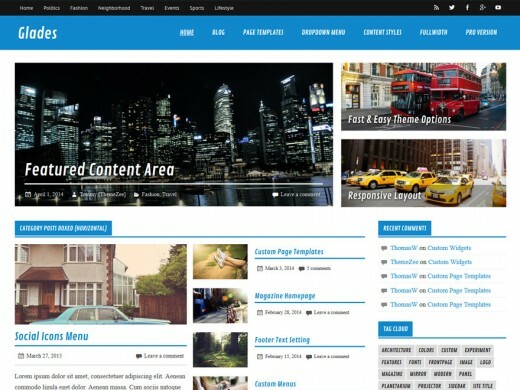 Theme provides 3 Page Templates, 42 Widget Areas and many more options. It also offers user friendly and Powerful Theme Options for Color Schemes, Header, Post/Content, Sidebar, Footer, Typography and Error Page. 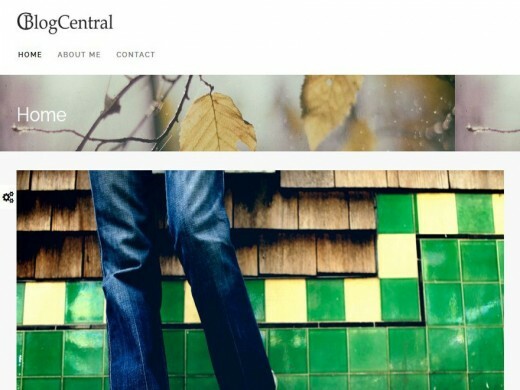 BlogCentral is a responsive wordpress theme that focuses on the blog. It is scalable, retina ready, highly customizable, SEO friendly, and translation ready. It comes with 3 predefined demos, 5 color schemes, unlimited color options, 3 page header layouts, 3 blog posts listing layouts, and much more. 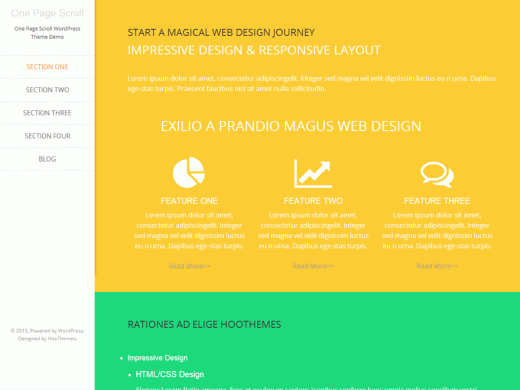 Encounters Lite is an exceptionally robust theme designed to give your website a bold new look. Totally responsive, this theme includes a large selection of features with incredible possibilities, like Unlimited Colors, 3 Blog layouts, social networking, custom styled WP Gallery, a gorgeous showcase header, 9 page templates, 11 widget positions, post formats include aside, image, quote, status, and more. 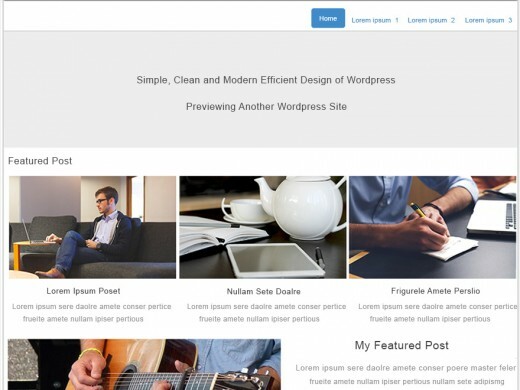 A clean and simple WordPress starter theme. Use the Customize to control the layout, fonts, background colors, widget areas and more. 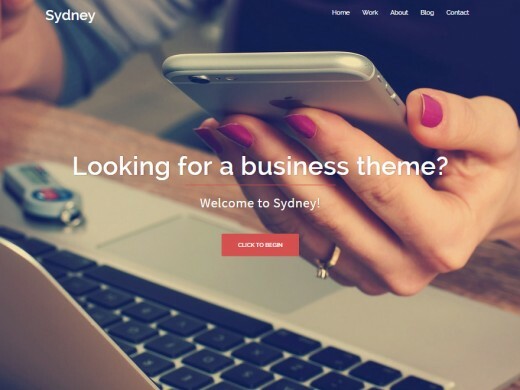 Build any website you can imagine with this easy to use theme. 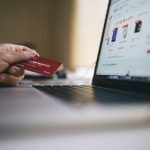 Support for WooCommerce, bbPress, Yoast, Gravity forms and more. 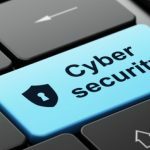 Use Symphony and Conductor Plugin to build WordPress websites without code.